Leaves' Eyes – Official Website » thank you italy!!! MILLE GRAZIE, ITALIA!!!! ?? ?? This was just amazing!!! Fantastic crowd, great Pagan fest and a very beautiful outdoor location! Perfect last show of the tour – Strigarium rocks! 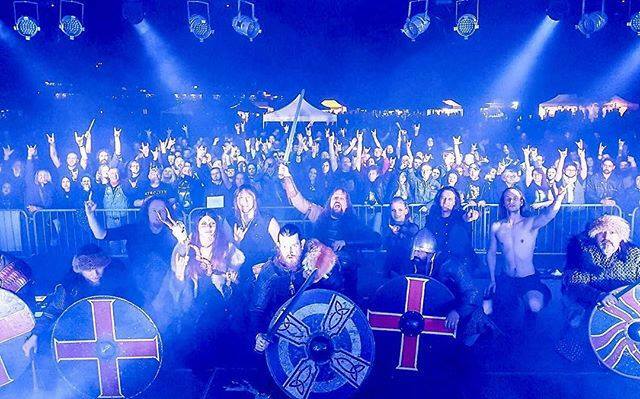 Thanks to our Vikings on stage of Niflhel of Southstorm Jomsborg Brotherhood! Hope to see you all again soon!